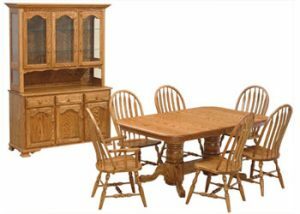 Weaver Furniture Sales has been serving clients with quality, Amish made furniture since 1989. Today they are a full line furniture retailer offering Mennonite and Amish made furniture for the entire home. 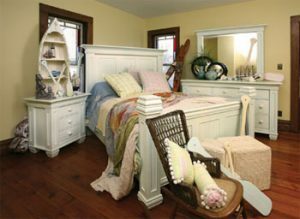 Weaver’s provides handcrafted heirloom furniture that is custom built to meet their customer’s needs. 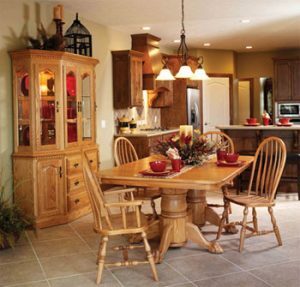 They offer their customers a wide selection of Country, Mission style, and Shaker furniture. Other styles, such as Queen Anne, Contemporary, and Traditional, are also available. Their focus is on solid oak, cherry, walnut, hickory, and maple hardwood furniture. Select from hundreds of stains, paint colors, and specialty finishes, but you may even order your furniture piece unfinished! Their furniture is handcrafted to last for generations. They also carry a full line of nationally known brands of upholstered furniture, including sofas, sectionals, love seats, and glider rockers. These come in many sizes, a variety fabrics, and even in leather. They also offer furniture for any budget. Shipping is available for all merchandise. Custom-made furniture can be manufactured to meet your specific needs and then stained or painted according to your specifications. If you can provide them an idea of what you want, they’ll take it from there. They can even send you stain samples first to make sure the finish is just the way you want it. Customer service is a top priority at Weaver’s. They work with a number of local furniture builders and manufacturers to provide their customers with exactly what they are looking for. Contact them for details. Weaver Furniture Sales was started in 1989 by LeRoy and Ida Weaver. LeRoy and Ida are members of the Old Order Amish church. The old dairy barn on their original homestead has been converted into a large furniture showroom. Most of their nine children are employed in their business in Shipshewana, Indiana.